Home | On this Day in History Quilts series | A Fan of Education and Friendship. A Fan of Education and Friendship. On this day in 1827, abolitionist and educator Emily Howland was born in Sherwood, New York. Howland taught the children of freed slaves in Washington, D.C. In 1857, she built a school in Sherwood and personally founded and financially supported fifty other schools for emancipated slaves. She taught in several of these schools and was also active in local to national suffrage movements. Myla Perkins machine pieced, hand appliqued and machine quilted this quilt, titled “Underground Railroad” (or Grandmother’s Fan variation), in 1984. Perkins made the quilt when she was a member of The Quilting Six group, a small quilting circle in Detroit, Michigan made up of former sorority sisters, college friendships and two sets of sisters. 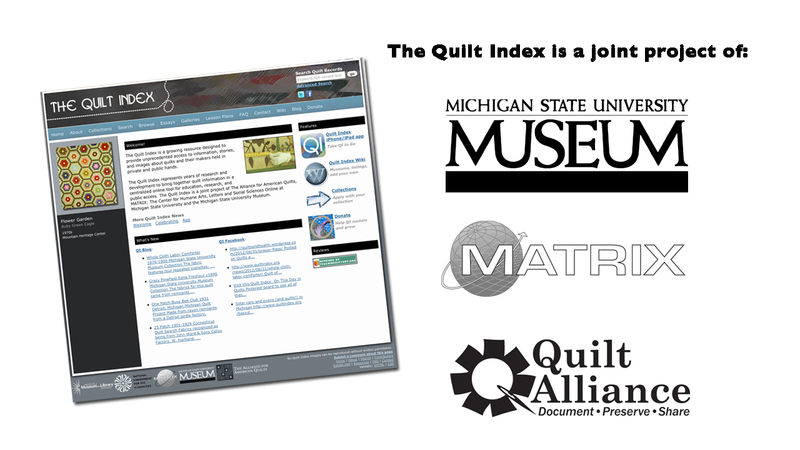 The quilt is owned by the Michigan State University Museum.